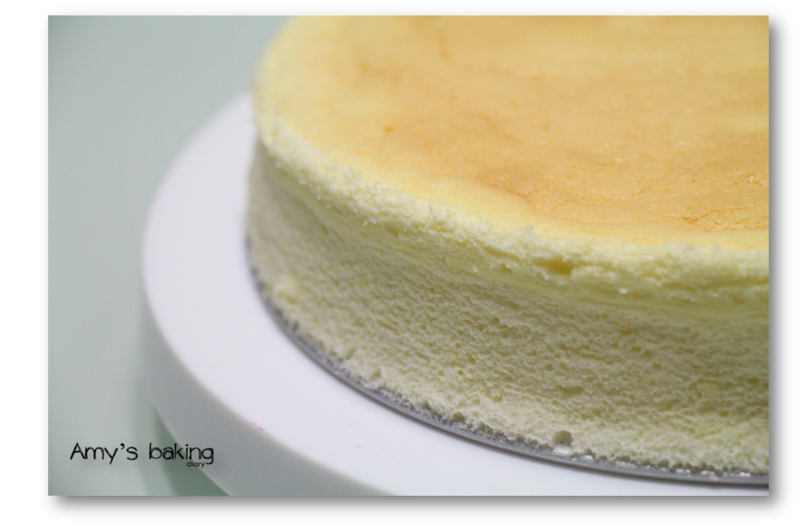 Japanese cheesecake is well known for its smooth, creamy and fluffy texture and that's made this cake stand out for the rest of the cheesecake. My plan was to bake the whole cake for Friday night Life Group Meeting. But half of the cake had gone by evening. I don’t blame my sons as it is indeed hard to resist. Before the other half of the cake was gone, I quickly removed half of the half cake and set aside. Of course, 1/4 of the cake was definitely not enough for the meeting; therefore I baked my favourite chiffon cake. I must say that I have fully mastered chiffon cake. I’m so proud the cake turned out well despite I haven’t been baking Chiffon cake for few months. I must say overall I’m quite pleased with this cheesecake although it shrunk a bit. Actually it was really a perfect cake when it was in the oven. The surface of the cake is smooth without crack. But it shrunk shortly after it was been removed from the oven. Every baker would wish their cake is perfect looking when it is served to their love ones or friends. So naturally, my heart sank too, when I saw the cake shrunk with slight wrinkles on the surface. 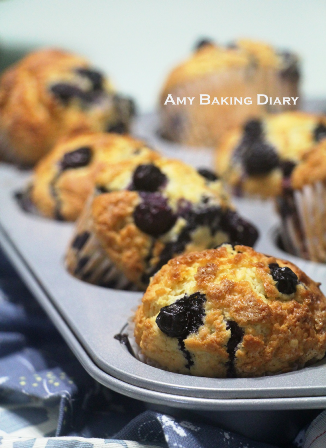 I used to grumble to some of the bloggers when my cake or baked didn’t turn out well and they reminded me that we’re not professional baker. Just like everyone, we simply loved to cook and bake our best for our love ones and share what works and don’t with friends, whom have the same passion as us. 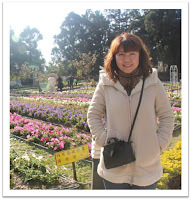 I really enjoyed reading the blog from the regular bloggers. They really inspired me a lot in the kitchen. 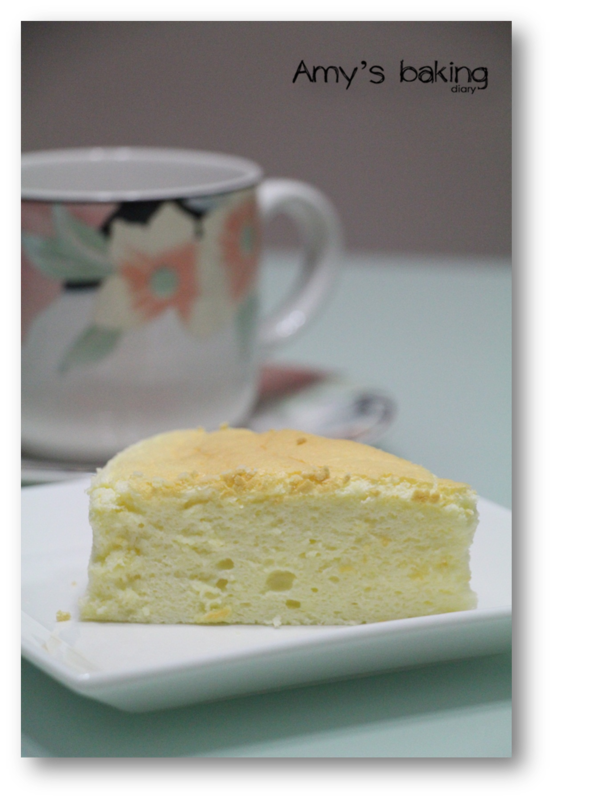 Japanese Cheesecake – recipe adapted from Lena from Frozen Wings. (1)Line the springform pan with 2-3 layers of aluminium foil. (2)Sift Ingredients B and leave aside. Place ingredients A over double boiler and stir till butter is melted and mixture is smooth. Remove from heat and let mixture cool before proceeding the next step. (3)After the cream mixture has cooled down, add the egg yolks, stir in to combine followed by ingredients B. Mix with a spatula to combine evenly. (4)Whisk egg whites and cream of tartar and add in sugar gradually and whisk till medium stiff peaks form. Pour the cream cheese mixture into the egg whites mixture and fold till evenly combined. 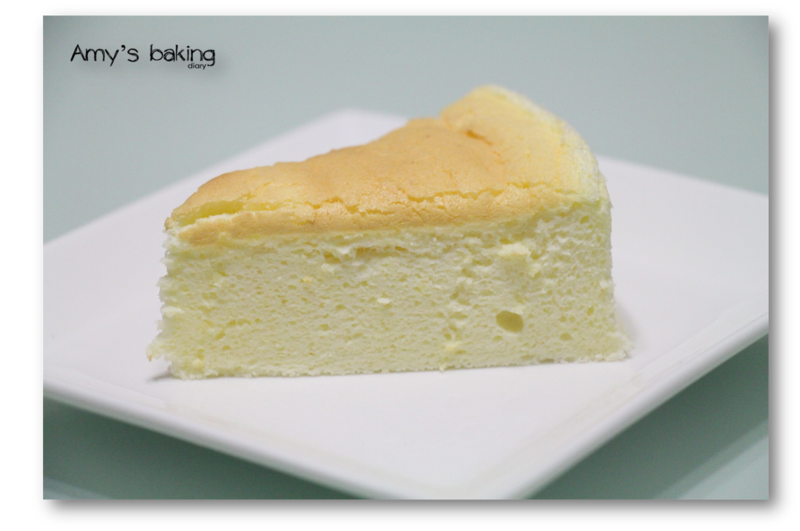 Your cheesecake looks great, soft, spongy and fluffy! No wonder your son finds it irresistible! Your cake turns out well, a little crack here and there does not matter to me, that is what makes homebake extra special! Seriously, I think your cake is just great, the cracks are just tiny ones! Practice makes prefect, you will master it soon. Jia You!